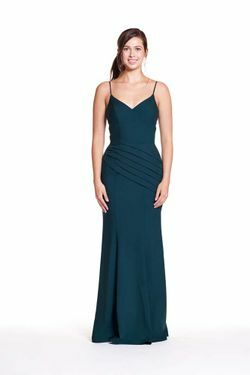 Bari Jay BC-1769 - Bella Chiffon - Square neckline with spaghetti straps that create an open corset back. Pleated A-line skirt with slit. Side seam zipper. PLEASE ORDER ONE SIZE UP FOR THIS DRESS!! !